The Spirit SD brings new technology to classroom multimedia player/recorders. 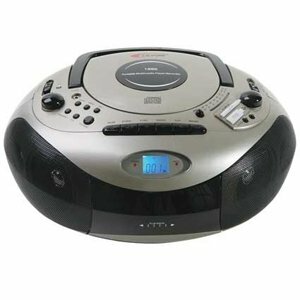 With its builtin SD card slot and USB port, the Spirit is made to work with the latest formats as well as the teacher-tested CD player, cassette recorder / player, & AM-FM radio. Built for high-use environments with shatterproof ABS plastic for durability & safety, it's ideal for group or individual reading activities, literacy, ELD, ESL, and other language learning programs.